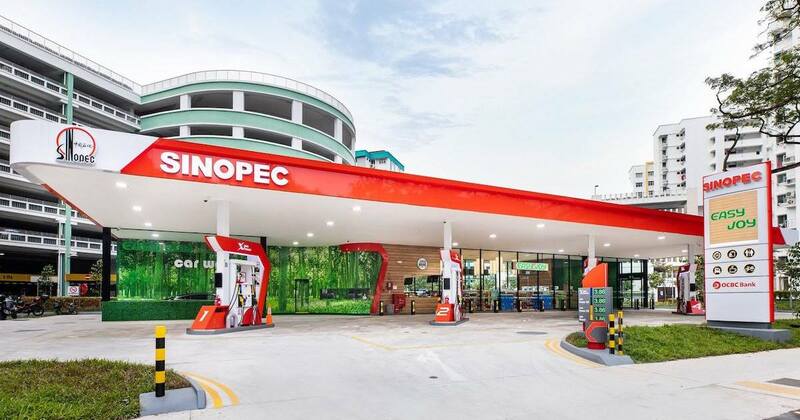 Sinopec has officially opened its first overseas petrol station in Singapore at Yishun Avenue 1 on Tuesday (Dec 18). The Chinese firm is currently building its second station at Bukit Timah Road, which will begin serving customers “very soon”. According to the company, Sinopec’s fuels — which include gasoline and diesel variants — are of China VI emission standards, similar to Europe VI specifications. Some Singaporeans are excited at the arrival of a new petrol kiosk as this would mean greater convenience for drivers and motorists alike. “More stations hopefully equal [to] less crowded stations,” commented a netizen on MyCarForum. Many netizens also questioned the reason behind opening a new petrol company in Singapore if the petrol price is the same as existing kiosks here. The general sentiment is that unless it offers cheaper petrol, people won’t flock to Sinopec to pump their vehicles. What are your thoughts on this? Sinopec is the second Chinese firm after PetroChina to enter the multibillion-dollar fuel retail market in Singapore. The company had bought a 1,689 square-metre land plot in Yishun Avenue 1 for $42.5 million in February last year to build its first petrol kiosk overseas. The Yishun petrol kiosk will feature a car wash and a convenience store, and is slated to open this quarter. It has also secured a second land plot in Bukit Timah Road, reportedly for around $45 million. The site was previously occupied by Singapore Petroleum Co, which is owned by rival PetroChina. Shell To Sell Some Of Its S’pore Kiosks To Sinopec? According to The Straits Times, Sinopec is sourcing its fuels from Shell, with which it has a close working relationship in China. In 2004, the two companies had partnered to open 500 refuelling stations in China. Speculations have arose stating that Shell will sell or lease some its Singapore kiosks to Sinopec. Shell’s petrol kiosks in Singapore has shrunk by more than 20 per cent in the last 15 years to a network of 57 kiosks today. Its number of refuelling stations have also fallen from a peak of over 220 to around 170. Moreover, after Shell ended its 11-year partnership with retail operator 7-Eleven last year, Shell reverted to its own Shell Select store brand. However, even after over a year, stores at some stations still seems like it’s undergoing a transitional phase, with unlit signages and bare fluorescent in-store lighting. An anonymous industry source told The Straits Times that these are the stations that will be sold to Sinopec. In response to this, a Shell spokesperson simply said that the company will not comment on rumours.